Repair Shampoo and Repair Conditioner - After switching my shampoo and conditioner to these two, my hair feels much healthier again. I'm growing it out at the moment and I'm trying really hard to keep it as healthy as possible so I don't have to get it cut too often. It's left feeling amazingly soft and smells divine! It is 'infused with Quinoa Protein, known to reinforce hair fibres and provide protection from cuticle abrasion'. Finishing Spray - Again, this is another product that has helped me out extremely. I have the worst baby hairs in the world, I literally end up looking like a lion. So when I have to create a super neat and tidy ballet bun, this spray has been the best for sticking back those little fly away hairs. It doesn't smell like the usual hairspray, it reminds me of chocolate in someway. It holds my hairstyle for the whole day without me needing to respray, and I've been dancing! Treatment Oil - You can 100% tell this is a high-end product as the packaging for this oil is so luxurious. With this product I usually put it on the ends of my damp hair and then blow dry or for a full hair treatment you can massage it on to your dry hair and scalp and wash out after a couple of minutes of letting it soak in. It 'combines Argan Oil with Omega 6 and coffee extract which act as the most natural hair conditioners to create smoothing shine and repair.' The oil is really worth the price, it tames my dry and frizzy hair easily (this is the worst in the winter!). I also usually get nervous when using oils as I don't want my hair to be greasy but the SHOW Beauty oil was perfect and left my hair feeling like I just had my haircut! Repair Treatment Mask - This was my first time using a hair mask and I now use it once a week by applying it to the ends of my damp hair and washing it out after 10 minutes. I received amazing results after using it for the first time so now I can't stop! It left my hair feeling brand new, moisturised and really easy to style. 'A combination of Caviar and White Truffle extracts enrich this formula with amino acids and minerals, moisturising and adding tensile strength.' The glass jar is extremely heavy and it definitely feels expensive, it would make a great Christmas gift. There is so much product in the container which is satisfying as it will last me a very long time! 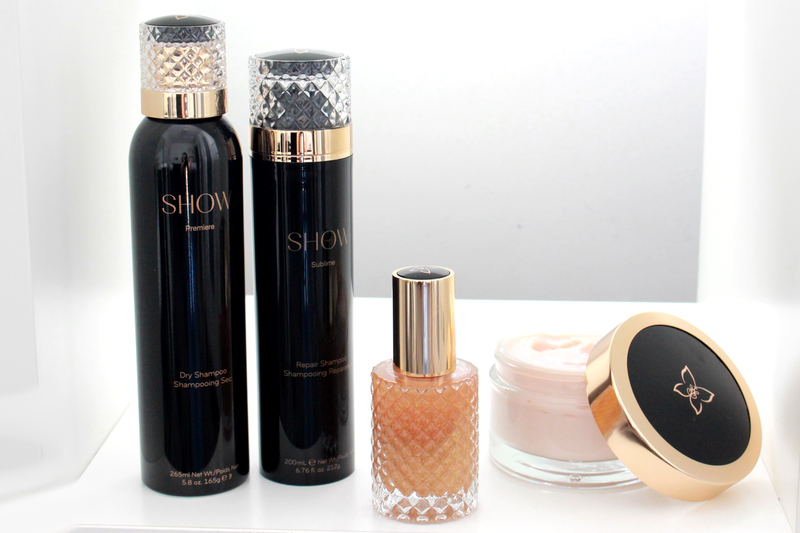 You can find SHOW Beauty in shops like House Of Fraser, Harvey Nichols, Selfridges and many more... Click here to find them! Such lovely products! I am a huge fan of dry shampoo too..isn't it a lifesaver?